The game may have released, but Turtle Rock isn’t done with it just yet. 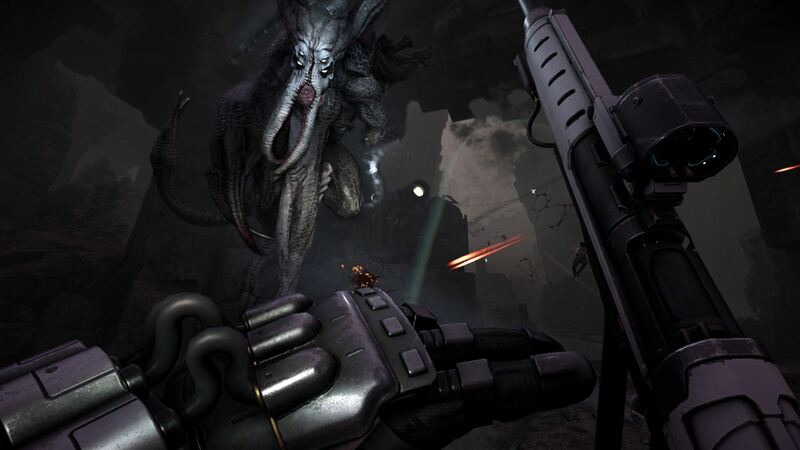 Evolve has one of the most controversial approaches to DLC in recent memory, but Turtle Rock seems intent on supporting the game properly, and on providing some proper post launch support. Which might be why they have taken to their forums to tease the first set of DLC that they are planning on releasing… all of which will be free. Speaking of the new DLC, Turtle Rock seemed to have some big plans for the game. “We do have new maps incoming, which will plug into Evacuation mode with their own map effects, observer mode so a sixth player can spectate both teams, ranked play for more competitive gamers and hopefully an all new game mode, all for free in the future,” they said, teasing just some of the things they have lined up. Sounds like they are trying their best to do right by the community (which lends credence to their assertion earlier that 2K, and not Turtle Rock, is to be blamed for the abusive DLC policy), so props to them.